New York City marijuana possession arrests plummet (finally), Utah patients will have some legal protection beginning next month, federal fentanyl sentences just increased, and more. Michigan US Attorneys Warn That Federal Prohibition Remains in Force. In a joint statement released Thursday, US Attorneys for Michigan Matthew Schneider and Andrew Birge warned that even though voters there legalized marijuana on Tuesday, "marijuana continues to be an illegal drug under federal law" and that they "will not unilaterally immunize anyone from prosecution for violating federal laws simply because of the passage of Proposal 1." That said, the federal prosecutors then conceded "our offices have never focused on the prosecution of marijuana users or low-level offenders" and that "as we weigh the interests in enforcing a law, we must also consider our ability to prosecute with our limited resources." Arrests for Low-Level Marijuana Possession have Decreased 90 Percent Following New NYPD Marijuana Guidelines. Arrests for low-level marijuana possession have plummeted 90 percent since new NYPD marijuana enforcement guidelines took effect in September. There were 151 arrests for low-level marijuana in the entire city of New York in September 2018, less than 10 percent of the 1,500+ arrests last September and 3 percent of the 4,300+ arrests that took place in September 2010. However, racial disparities in enforcement still persist, with Blacks and Latino people comprising around 80 percent of the 1,000 summonses issued for marijuana. Utah Patients Will Have Legal Protections Beginning December 1. Although it could take months or years for the state to get a medical marijuana cultivation and distribution system up and running, medical marijuana patients will win some protections from arrest and prosecution beginning on December 1. That's because the Prop 2 initiative approved by voters includes an "affirmative defense" provision protecting them from a criminal conviction. It doesn't explicitly protect patients from arrest, but the hope is that with little likelihood of a successful prosecution, police will have little incentive to actually arrest patients. 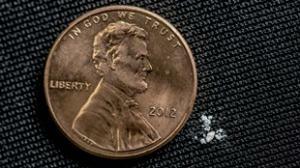 Harsher Federal Penalties for Selling Fentanyl-Laced Drugs Are Now in Effect. New federal sentencing guidelines that went into effect November 1 significantly increase the possible prison sentence faced by people who sell heroin or cocaine laced with fentanyl. The new guidelines "create a four-level enhancement for a defendant who knowingly misrepresents or knowingly markets as another substance a mixture containing fentanyl or a fentanyl analog," which translates into sentences nearly twice as long as previously. While the guidelines only apply to someone who intentionally sought to deceive buyers, the realities of the federal criminal justice system -- where the vast majority of cases end with plea bargains -- mean that prosecutors will rarely have to prove the intent to deceive.